Leia a 14″ doll available Monday! Sneak peek of Leia a 14″ Lali, who will be available in my Etsy shop on Monday 2pm EST. 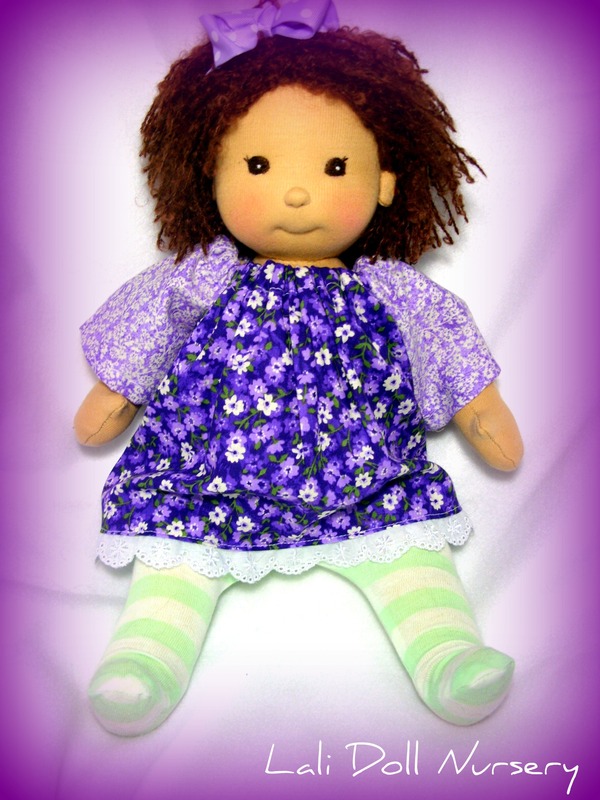 She has tan skin, brown eyes and brown boucle mohair yarn hair. So far she’s dressed in a purple dress and green stockings. I am also making her some shoes to match. She is button/string jointed, like all Lali’s are and she also has the magnetic insert in her mouth/thumb and will come with a pacifier.